Transform your organization's financial close, consolidation and reporting by automating time-consuming processes and accounting procedures. Create financial reports faster while increasing visibility and transparency in the financial close process, improve financial reporting efficiency and simplify regulatory filing. Automate your entire extended financial close process, and streamline management and regulatory reporting. Simplify the task of providing certified financial information and cut days off your monthly close. Supports consolidated financial reporting for local jurisdictions and multilingual reporting. Quickly create close reports, financial statements, management and regulatory reports, and deliver to internal and external stakeholders. IBM Cognos Controller supports the entire close, consolidation and reporting process. 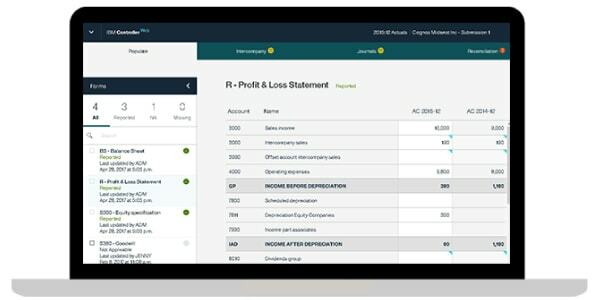 Its full suite of capabilities delivers complete financial results and provides an integrated platform for financial reporting. It enables finance teams to automate and accelerate the financial close with minimal IT support. IBM Cognos Controller reduces time spent on consolidation and reporting processes by three to four hours per week and saves a day on month-end closing. IBM Cognos Controller has streamlined the complex consolidation process, enabling financial data to be collected automatically from dozens of sources and nearly eliminating the risk of error. Planning, budgeting, forecasting and multidimensional analysis — powered by IBM TM1®.